Now is time to talk about the lower part of Vipava river. The main difference between the upper part is that here the river is wider , slower and deeper. For this reasons the main fish population consists of cyprinid species. 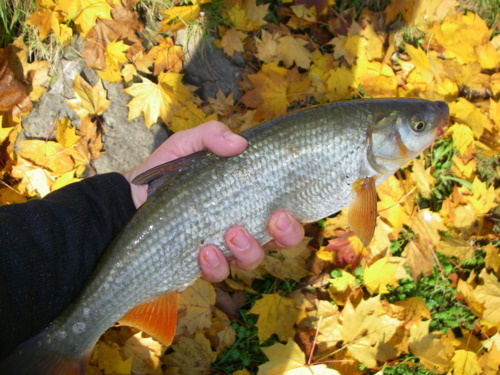 Here you can find chub, common barbel, common nase, pike, carp, tench, eel and wels catfish. The Vipava river is known for it´s large population of common nase, but in particular for it´s huge wels catfish. This fish was introduced in the past sixties and displaced some indigenous species such as wild carp, eel, tench and chub. Because of it´s lenght and weight attracts more and more fishermen. The Vipava river has a record of 220 centimeters and 76 kilograms. I can tell that some fishermen had bigger exemplars but they were powerless (broken rods, reels, hooks). The best technique is spinning with very heavy gear and big lures. Not only wels catfish, but also fishing for carp is considered to be very attractive, because this carp is considered to be one of the most powerful fish in this region. A lot of fishermen told that here a fight with a 10 kilogram carp is like a carp of at least 15 kilograms in other rivers or lakes. If I add a fact that this part of the river is overgrown with a lot of underwater vegetation you can imagine the satisfaction of a catch. They are still fished in “old school” way (with corn, cornmeal and bread) with very good results. Because of it´s underwater vegetation you can also catch beautiful pikes, especially in autumn. The common nase is active during the whole year, with a peak in autumn. 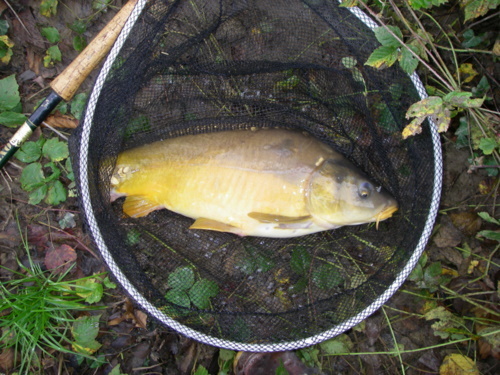 This carp was fished with an 0,18 leader. 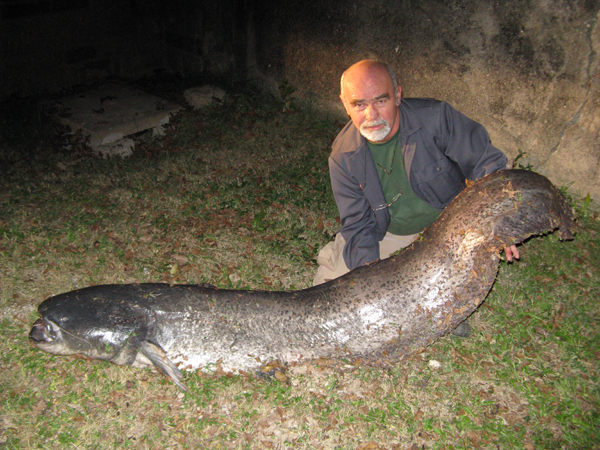 This wels catfish was caught this october (205 centimeters, 50 kilograms).